The National Weather Service is under the National Oceanographic and Atmospheric Administration (NOAA) in the US Department of Commerce. The Service provides forecasts, public warnings, and other products to organizations and the public for the purposes of protection, safety, and general information. The NWS office at Bellemont near Flagstaff generously assigned intern Dan Stewart to this project and mentored his development of the detailed local climate maps and statistics for Garden in Flagstaff. Heartfelt thanks to Science & Operations Officer Andy Taylor for his continued engagement with the project and to Meteorologist-in-Charge Brian Klimowski, who encouraged us all along the way. The Arboretum at Flagstaff brings leading-edge science to the public. A privately owned non-profit organization, it is dedicated to increasing the appreciation and conservation of plants and plant communities native to the Colorado Plateau. Board President Peter Jolma was a dauntless champion for this project for over two years. Several Board members were especially helpful: Dr. Tom Whitham connected us with amazing website designer Patrick McDonald, Dr. Amy Whipple mentored Dan Stewart throughout the project, Brad Garner suggested the website’s title, Shari Miller gave us legal advice, and Jerene Watson helped us work with City of Flagstaff GIS staff to obtain shaded relief background maps. Deep thanks to all of you! The Merriam-Powell Center for Environmental Research is based on the grounds of The Arboretum at Flagstaff. The Southwest Experimental Garden Array (SEGA) is the center’s new genetics-based climate change research platform that allows scientists to quantify the ecological and evolutionary responses of species exposed to changing climate conditions. SEGA has begun to create a system of 10 gardens along a steep elevation gradient in northern Arizona that includes conditions ranging from desert to alpine forest. By planting the same plant species and genotypes in different environments, scientists can identify which ones perform best and are most likely to survive changing conditions. Research Station Director Dr. Amy Whipple and quantitive ecologist Paul Heinrich were a great help to Dan Stewart in exploring methodologies to produce the climate maps for this website. The mission of the Coconino Master Gardener Program is to support the University of Arizona by providing researched-based information on environmentally responsible gardening and landscaping to the public. The program creates a corps of well-informed volunteers, and delivers quality horticultural education programs adapted to our regional high elevation environment. Thanks to Hattie Braun for her graduates’ contributions to Garden in Flagstaff and for her able management of this essential program. 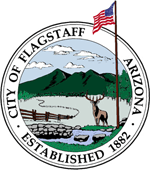 The City of Flagstaff definitely provides “Service at a Higher Level!” Thanks to Deputy City Manager Jerene Watson, GIS Analyst Robb Krause, GIS Technician Nate Renn, and Comprehensive Planning Manager Sara Dechter for their help in providing a number of FMPO map layers for Garden in Flagstaff. Coconino County: Special thanks to County Supervisor Matt Ryan for his long-time support of this website project and of The Arboretum at Flagstaff. 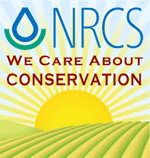 USDA Natural Resources Conservation Service (formerly the Soil Conservation Service): Thanks to Jim Harrigan for providing such helpful information about the challenging soils of the Flagstaff area.